Refreshing clear water blended with cucumber and green notes. COMMENTS: Not really sold on this one...it's ok.
"Everyone Loves This Cucumber Fragrance"
COMMENTS: This is one of my most popular fragrances! I was so pleased to find this on your site. I (and many of my customers) look for a true cucumber fragrance and here it is! 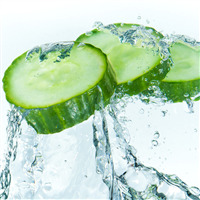 Many companies mix cucumber with melon, and you don't always want that. 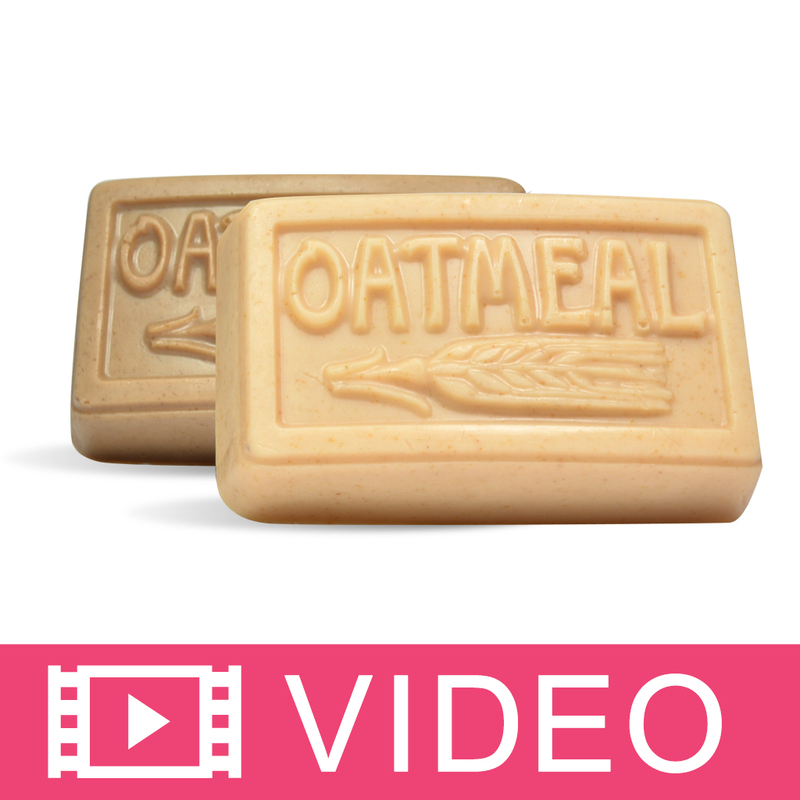 This is a fresh, crisp, clean scent that goes perfectly with Summer soaps! "Quickly became a best seller"
COMMENTS: I have repurchased this a few times because my customers love it in my bath bombs. It quickly became my number two best selling scent. It smells just like the Bath and Body Works fragrance, and is vanillin free! COMMENTS: Love this fragrance oil. I blend it with the Honeysuckle and nectar fragrance for a decadent aroma. COMMENTS: Really clean and refreshing. I love this scent. 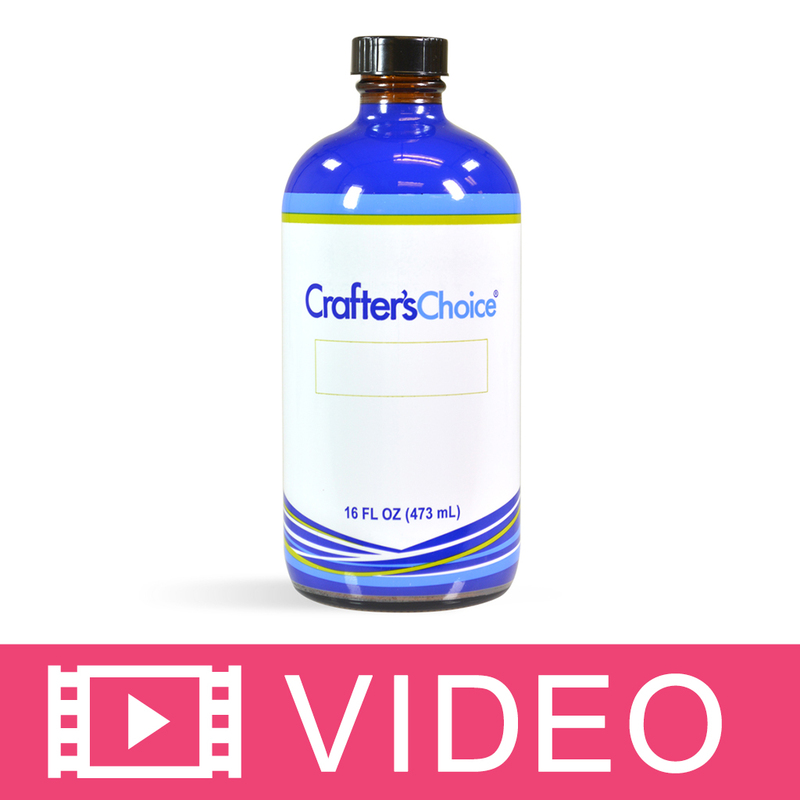 COMMENTS: My customers love this clean,green, fresh scent! "Fresh Cucumber Scent! Big Seller!" COMMENTS: I use this in my bath bombs. I combine it with Bamboo and it makes the most wonderful spa scented bath bombs. Love it. I make these year around. My customers beg for them. COMMENTS: I ordered this fragrance just to try it out. I have used it in CP soap and in wax bark. It quickly has become a best seller!! I will be ordering more of this in the future! COMMENTS: It smells fresh and like a cool cucumber but might be a little too light in bath bombs alone so I miss it with watermelon and peach and sells well for me. • Make a litter stronger. COMMENTS: I love this scent! Smells very fresh and crisp. Behaves perfectly in cold process soap. COMMENTS: Liked this and worked well in CPOP, no acceleration, ricing or problems. Nice clean fresh smell! Will have to order a larger bottle! COMMENTS: Love this scent especially with the warm weather! A big favorite amongst myself, family, and friends! Very refreshing and perfect for wam weather. Will purchase agin and again! • this is a great fresh and sweet scent. "Smells just like cucumber salad"
COMMENTS: What a great scent! Smells clean and fresh, exactly like a fresh cucumber. "Smells just like a fresh cucumber"
COMMENTS: This stuff smells great, just like a fresh, crispy cucumber. Unfortunately, it riced and accelerated on me in two different recipes. I might try it in something ither than CP soap because I like the smell so much. "Smells cool as a cucumber"
COMMENTS: I wasn't sure if I was going to like this, but the scent is spot on! It's a very light, clean, crisp, and true cucumber scent. Light and refreshing! COMMENTS: Love Love love this Fragrance. Spot on !! Just like cutting up a fresh Cucumber. excellent for face cream. Highly recommended. COMMENTS: If you're looking for a true cucumber scent, this is it!!! COMMENTS: My go-to for cucumber fragrance. A nice, clean scent great for summer soaps. Speeds trace so be prepared. COMMENTS: I love this fragrance oil. It is not a faint smell, but is very robust! COMMENTS: Favorite springtime fragrance. It's cool, crisp, and always consistent. COMMENTS: There are only a few versions of cucumber FO available, usually with melon or mint. I like this plain cucumber because I can mix it with my own secondary fragrance. COMMENTS: Smells like fresh cut cucumbers.. My daughter has had cancer so her smell has changed and a lot of fragrances she can not stand but this one she loves... We found a winner.......!!!!!!!!! COMMENTS: Fantastic in M&P, and a best seller. Smells different but still nice in CP, and rices like crazy in CP. Still deciding whether I will continue to use in CP because of that ricing. "Cool and crisp! Love it!!!" COMMENTS: Loved everything about it!!!! 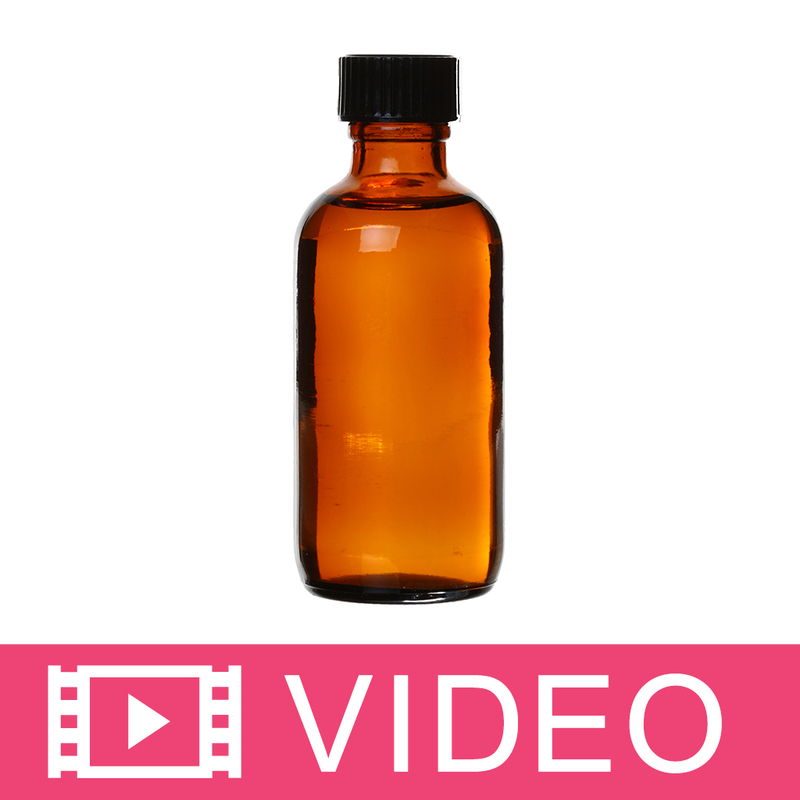 COMMENTS: I like everything about this fragrance oil. It never fails to bring a refreshing finish to my final product's essence. Love it! COMMENTS: I am normally really picky with scents of my products because I want to make a product that suits me since I do soaping, lotion bars, bath bombs, bubble bars and pretty much anything I could. I took a chance with this scent and was afraid it would be a little bland, but I still gave it a shot. I am so glad I did. I made CP soaps and also made Bubble bars with this scent. It was a hit for a party favor I made for my co worker and she wanted more. I wanted more. Fresh, clean, relaxing scent that isn't too overpowering. I will def be buying more of this scent soon as I am running low! COMMENTS: I love this cucumber, it is strong but not over powering. It does accelerate in cp soap no matter what you do but I will always love it! COMMENTS: This one works well in hot process soaps and bath bombs and has a fresh clean scent. COMMENTS: I use this in my emulsified sugar scrubs and customers just love it they say it have a very crisp clean smell. Defiantly one to keep in stock! COMMENTS: Had a customer request a cucumber soap and I used this fragrance. I'm very pleased! It came out smelling fresh and wonderful, just like a fresh cucumber (I did use cucumber juice/pulp in place of half my water). COMMENTS: I have purchased with fragrance from other company but switched to WSP because of the lower cost. I tried 2 16 bottles and each batch displayed a problem. This is the only fragrance which the fragrance pools out of the soap and the second batch heated up so hot the soap is unrecognizable. I soap at 130 degree which is standard, so i am not sure what the problem is. COMMENTS: Such a refreshing scent in my products. Great warm weather scent! COMMENTS: Nice neutral scent. Not one of my favorites but others like it. Behaves well in soap. COMMENTS: This is the first thing that always I sell out of. Very refreshing and rejuvenating scent. "Was hoping for a stronger scent "
COMMENTS: To my customers liking, they say they love it and bought a lot of the facial cream I made with it! They seemed to like the fresh airy scent. I would have liked it to have been stronger, but it's selling wonderfully! Will definitely be a staple scent for me now! COMMENTS: I love the smell it very refreshing. Its a nice bar of soap. People love it in my soap and candles. Do not pass this one up. COMMENTS: Not my favorite. No ricing. Just ok scent, just like cucumbers. Not crisp or fresh... We added lemongrass to brighten scent. This is the second cucumber fragrance I've tried and still haven't found a good one. I prefer cucumber green tea to this. Did not sell well in body butter. It needs something else. COMMENTS: This smells really clean and fresh like a cucumber. It is a very clean therapeutic scent. I used it in bath fizzies and the smell was very relaxing. It's great for everyone. COMMENTS: A fresh green fragrance which paired well with white tea fragrance for a custom blend cold process soap. COMMENTS: Popular scent with face masks and bath bombs, nice, clean scent. 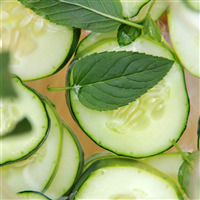 COMMENTS: I ordered this fragrance oil to make CP soap using fresh cucumber juice to replace the water in my recipe. The fragrance oil was to boost the natural scent, and I was not disappointed! It doesn't smell like a perfume or candle, it just smells like real fresh cucumbers. I had no acceleration (even with the fresh juice), discoloration, etc. While the scent isn't super strong at .5oz ppo, it was perfect for what I was wanting to accomplish. I'll be using this one again! • no problems with acceleration, etc. "So crisp and fresh "
COMMENTS: The Cool Cucumber fragrance oil smelled great in the bottle, and even better in my CP goat milk soap. My customers have been asking for more green fresh scents, and I have no doubt they will love this. COMMENTS: This is a true, freshly sliced cucumber scent. Perfect to blend with! COMMENTS: Exactly as its described... a cool cucumber scent!!! Its held up well in the soap and has a super clean fresh smell. Men actually seem to really like this one!!! "Love the clean crisp scent"
COMMENTS: This is a great scent for a face mask. We really like the recipe you have listed for this one. COMMENTS: It's difficult to find a true cucumber scent, but this is clean and wonderful smelling! "Cool Cucumber Fragrance Oil 186"
COMMENTS: I purchased the Cool Cucumber to make the Cooling Cucumber Face Mask here on WSP. Both I and my customers loved the scent which truly does smell like a fresh-cut cucumber. I've also added this scent to my luffa soap line where I use vegetable and fruit scents (cucumber, tomato, cucumber melon, lemon verbena, etc) as well as my olive and aloe face soaps. I use the herb powders for as many of them as possible which adds even more benefits and my customers are loving it! Nothing but positive reviews - and some pretty surprised faces - from this scent and can't wait to order more. "crisp, cool, and great for men and women"
COMMENTS: i love this fragrance for unisex products, its very light and perfect for lotions or even linen sprays. COMMENTS: Yeah, I must say I am in love with this product and can't wait to make just about everything with it lotion, shampoo and conditioner, deodorant, and shower gel. Definitely will be reordering in a larger size next time. I made a lotion bar with these and they turned out fabulous! COMMENTS: Fresh scent that is unisex and appeals to most. Works great in M&P. Will buy again. COMMENTS: True to name. Cooling and fresh. COMMENTS: I was a little disappointed with this one. I was looking a fresh green smell and chose this one from the reviews that were posted. It doesn't necessarily smell bad but not what I was looking for. It has a more spicy, perfume like scent to it. Won't order again. COMMENTS: What a wonderful "leafy" green scent! 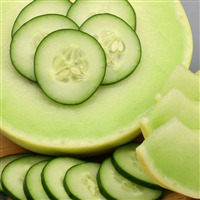 The cucumber lends a nice cool feel to the scent and the green undertones make it a perfect unisex scent. This did perfect in CP soap with just a tad of acceleration (probably due to my water discount). "deliciously refreshing and clean scent"
COMMENTS: Nothing to complain about. This FO hits all the right buttons. not sweet, nothing melon or fruity about it, no heavy musky overtone, no mint to it, just fresh and clean straight from the garden after a spring rain cucumber. "Smells like Windex in CP soap"
COMMENTS: This smells amazing OOB, but once soaped smelled exactly like Windex. I got the bottle of Windex out and they were the same except the Windex smelled more like ammonia. I waited 2 weeks and smelled it again and it was the same. If you use this, use in M&P and other B&B treats, but I would never soap this again. I gave it 3 stars since it does smell very nice in the bottle and can be used in many applications besides CP soap. COMMENTS: This is WONDERFUL ..... This smells like a fresh-cut cucumber, and ONLY a cucumber. I use this for making body splash, deodorant, M & P soap, shampoo bars. The scent is very uplifting. My customers love this, and I will be purchasing the more "economy size" next time. • Nary a thing !!! "The smell of summer time!!!" COMMENTS: I luv LUV this scent!!! VERY true to real scent!! COMMENTS: Most commercial "cucumber" scents have a rather sweet scent to them...not what a cucumber is supposed to smell like. This, on the other hand, smells EXACTLY like freshly peeled cucumbers. Love this...and so do my customers (it's my #2 selling scent)! COMMENTS: This fragrance is a true to life scent, very refreshing and soothing. Used in M&P Soap, Sugar Scrub and Body butter all took the fragrance beautifully. 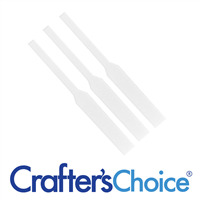 Another great preforming product. Thanks WSP. COMMENTS: Love this fragrance! It is so crisp and clean! COMMENTS: I love this scent for blending with others. I've used it with Melon Ball and also with florals and it makes everything smell fresh. This one is a staple. COMMENTS: Very fresh scent. 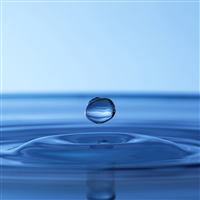 I like that it incorporates a fresh water scent. • I wish it was a bit stronger. COMMENTS: I love this fragrance by itself, but it is also good for mixing with other fragrances like kiwi or mint. COMMENTS: This fragrance worked well in cold process....it did not accelerate trace or turn brown. Good, clean smell. COMMENTS: Pleasant and refreshing smells just like I wanted. Will definitely order again. Cool and relaxing at the same time. COMMENTS: This is a great cucumber scent. I smell a little something that gives it a bit of a kick. I blend it with another scent and it is heaven. Love it. "5 stars scent for me"
COMMENTS: I received this as a sample. Oh my good! I will be back and have now found my cucumber scent for my line up. You can actually smell the fresh clean notes of cucumber in this. Most other cucumber scents are just clean. 6 stars if I could. "Great scent, accelerates CP a tiny bit"
COMMENTS: This is a great gender neutral fragrance. My husband really likes it. It did start to accelerate on me after a few minutes at 2 oz in 3 lbs. Not as bad as some, but I won't try to do a cylindrical funnel pour next time- I will pick a quicker swirl. After 2 weeks of curing it stills smells really great. COMMENTS: I love this scent and it blends very well. COMMENTS: I had a customer who tried this once and then never tried anything else and ordered this scent in bulk. "Really smells like a cool cucumber!" 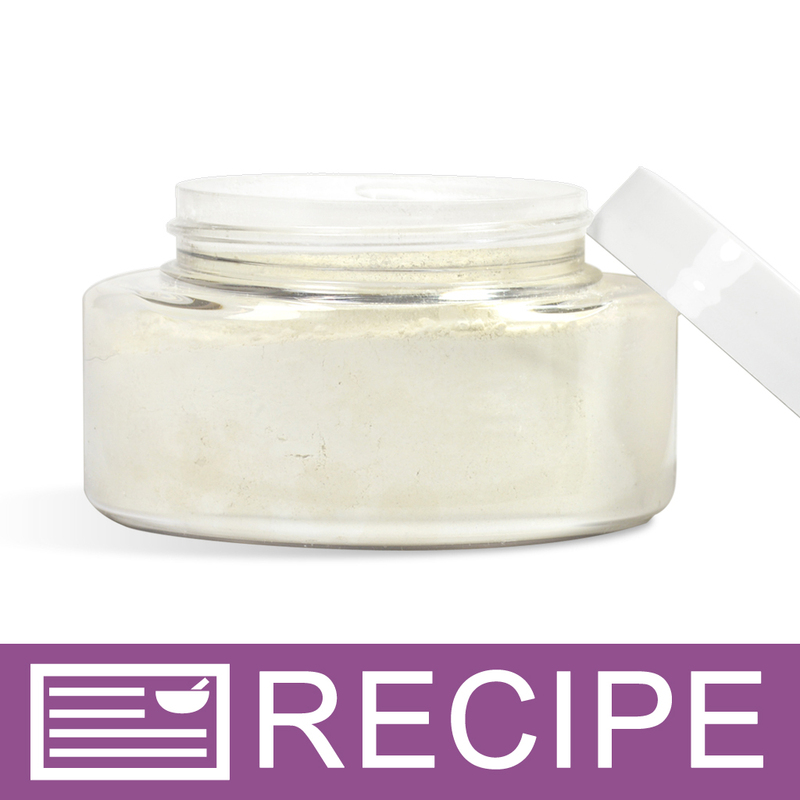 COMMENTS: I used this in the Cool Cucumber Facial Mask, using the recipe on this site. Excellent recipe and the cool cucumber really makes this mask. Will definitely buy again and make this recipe again. COMMENTS: This is a good spa scent on its own, but I did find that it accelerated trace somewhat. This may be due to the technique, however, so the data is not entirely reliable. (I scented SMALL amounts of colored soap for an advanced swirl technique, which is a kind of a rule-breaker for me.) No discoloration. The scent is nice and light but still there. You do get "cucumber," which is nice and fresh. "Maybe my favorite FO, period." • Perfect balanced scent, great mixer. 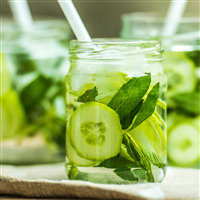 "Less-sweet alternative to Cucumber Melon"
COMMENTS: My mother has been requesting a straight-up cucumber scent for quite awhile, and they are surprisingly difficult to find! I think this one fits the bill though. 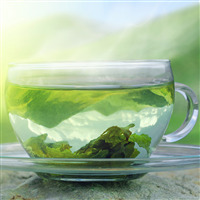 While not straight-cucumber, it's not nearly as sweet as cucumber melon - the green notes really help to mellow it out. It's a very fresh scent and fairly strong in cold process soap. I did experience some ricing when I first added it and had to use the stick blender to smooth it out. The trace thickened pretty quickly after that but I was able to do a decent in-the-pot swirl. Don't plan anything super fancy with this one. COMMENTS: Currently using this in my shampoos and conditioners for a fresh and clean scent! COMMENTS: This a fresh, very-real smelling cucumber. Excellent as a blending oil with other scents. Lovely in body butters. Will keep this on hand at all times for my dedicated cucumber fans. No issues at all in cold-process soap. Scent lasts and lasts. COMMENTS: This is the perfect cucumber fragrance! It has a very crisp and clean scent - very spa-like. I have had numerous customers smell my cucumber soap and say, "Wow that is just like cucumber!" Perfect unisex fragrance! COMMENTS: This scent is so cool smelling!!! The cucumber scent is just wonderful in this!! I want to eat it!!!! I only ordered a 4 ounce bottle but next time I will get the 16 ounce :). Love love love this in every product I make!!!!! COMMENTS: Very clean, light fragrance oil. I stay away from heavy perfume-y scents and this is a favorite with customers. Smells like summer! COMMENTS: I love the scent of cucumber and melon in hand soap. After reading someone's review of the Cucumber/melon fragrance oil I decided to buy this one too. Nice and crisp without the sweetness of the melon. I use it to cut some of the sweetness of the other fragrance oil but it is quite nice on its on also. COMMENTS: Used this in hot process soap. Customers at the Farmers' Market loved the fresh clean scent of this one. So far, no discoloration. COMMENTS: Lovely, light and true to a cucumber scent. My Mom literally fell in love with it right out of the bottle. I have used it in a cucumber facial toner at .25%-.5%. Just lovely as it complements the cucumber extract which has a mild scent. I find the natural cucumber aroma fades a bit over time leaving a faint whiff of some of the other ingredients like honeyquat or proteins. Even though I use hydrosols for this purpose, this scent just matches up so nicely. So if you are ok with a touch of scent in a facial spray, this one is it... very mild and spa-like, no irritation. It would also make a great aftershave for men and/or blended. But because it is so delicate, you would have to really think about what you are blending it with - that is something I will try. "Smells just like it says"
COMMENTS: Smells like a real cucumber with just a hint of sweetness. This fragrance oil is extremely strong so be careful not to use too much if you are mixing fragrances, otherwise it will easily overpower other notes. COMMENTS: This is the perfect scent for those with a sensitive nose. Very versatile and could be blended with Essential oils or with other fragrance oils for a fresh to fruity combination. COMMENTS: I use this in a face mask and absolutely love it! 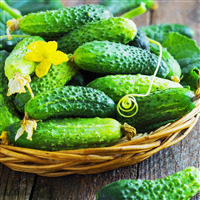 My customers love that it really feels like cucumbers on the skin and I love the smell. COMMENTS: I love this calming spa fragrance! It has a very fresh and clean scent to it. I have only used it in facial masks but it would be nice in soap as well. COMMENTS: I recently used this scent in lotion and it was fantastic! The scent was very pleasant and I didn't need a lot to make a nice scent. COMMENTS: I use this scent primarily for soap making. Many of my friends request it for its clean scent. I thought you didn't carry this scent anymore and I was very disappointed. It is one of my est sellers! It also works for scent in laundry detergent, as this is a clear fragrance oil. COMMENTS: I've tried many different scents for my cucumber soap....most just didn't have the simple fresh cucumber scent I was looking for. Thank goodness I found this Cool Cucumber scent. It is just the fresh scent I've been looking for. Don't ever stop selling this scent. It performs beautifully in cp soaps..no ricing, no exceleration. COMMENTS: Smells like sweet cucumber. I just love the smell. I will use this one again. COMMENTS: I use this in my MP Base and it holds a great scent. 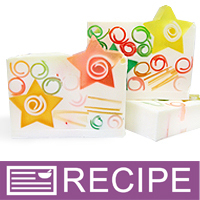 Customers love this summer scent and it's a great scent in my loofah soaps. COMMENTS: Cool, refreshing and light scent. I haven't use it yet, but smells good oob. "Nice cool scent, worked great in lotion bars." COMMENTS: This is a true cucumber. Cool and refreshing, it adds a cool spa-like scent to any fragrance you mix it with. I will be purchasing this on in bulk next time. LOVE IT! COMMENTS: A most refreshing and soothing scent year round. Also very nice when mixed with citrus scents. A very good seller in all products!! "BEST CUCUMBER ON THE PLANET!" COMMENTS: THIS IS THE BEST CUCUMBER I HAVE EVER USED, ONE OF MY TOP SELLERS, EVEN IN FALL AND WINTER. IT MIXES WELL WITH ALMOST ANY OTHER FRAGRANCE, ESPECIALLY FRUITS. 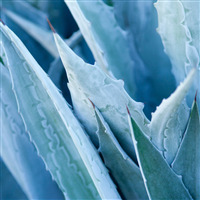 I USE IT IN MOST OF MY ALOE VERA RECIPES. "Unfortunately I am not getting the good fragrance that everyone else did. I had some before but this time it’s different? Any suggestions on something I could add to it to made a blend of sorts? I used it in a body spray and also a MP soap. Any suggestion would be greatly appreciated . " Staff Answer This is a lighter scent and also has a very low use percentage of 5%. You can try using the maximum percent in your products or possibly blend with another cucumber scent. 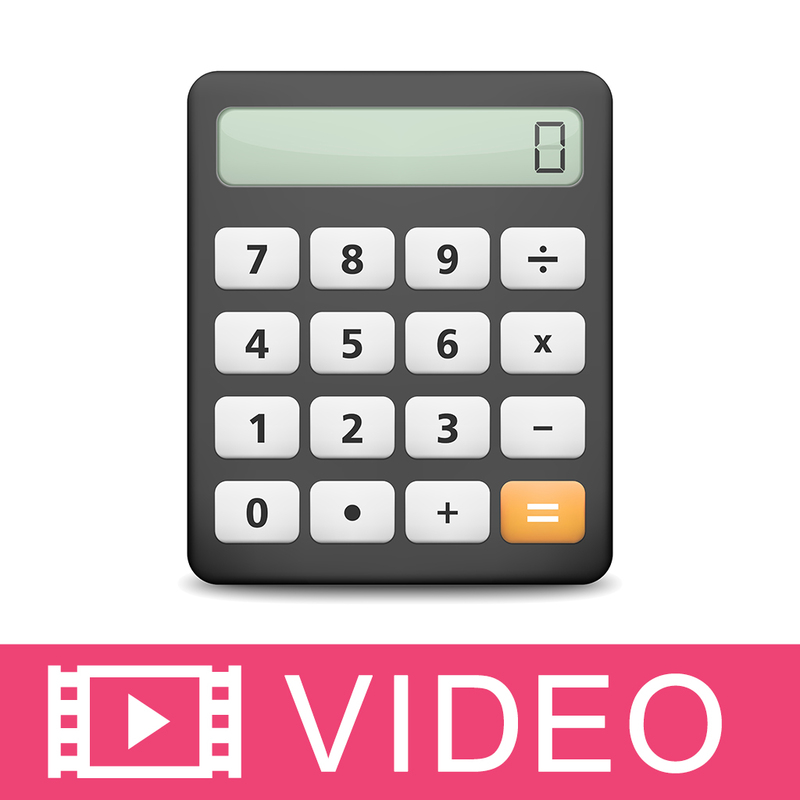 "How do i calculate how many ounces per pound of fragrance to use in cold process soap? Keeping it safe. " Staff Answer Hi Teresa, here is our Percentage Conversion Chart which should be able to help you. Just always make sure to follow the IFRA guidelines! The IFRA maximum should never be exceeded. "Can you add this to a clear body spray and keep it clear? I am newbie and when I add it to a body spray with Polysorbate 20 it gets cloudy. Can you recommend a percentage or something besides P20?" You can add the EO & FO Modifier. 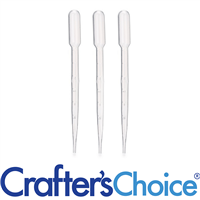 It is designed to keep your liquid formulations clear and will eliminate cloudiness.